Battle Royale, for those few who haven't seen it, is a Japanese movie from 2000, the last to be made by legendary director Kinji Fukasaku before his death in 2003. It's about a class of teenagers stranded on a remote island and given a random selection of weapons and three days to fight to the death, as lethal "danger zones" gradually encroach around them, until only a single student remains standing. Given how easily that concept can be draped onto the framework of a video game, arguably the most extraordinary thing about the emergence and soaring success of "Battle Royale" games over the past few years is that it took almost a decade and a half to happen. The underlying concept of Battle Royale, shorn of its social commentary and its (at the time hugely controversial) teenage characters, is the fuel that drives two of the biggest online hits of recent years: PlayerUnknown's Battlegrounds and Fortnite. "Only a few short years ago, MOBAs went through an almost identical boom cycle"
Conveniently, that very same stripped-down concept is a pretty good metaphor for what's going to happen within the online gaming space over the next year or so as well. Just like the games themselves, and the movie, we're about to see a bloodbath in the Battle Royale space, which has become the next target for companies hoping to hop onto a major multiplayer bandwagon. A quick scan of gaming news over the past six months reveals around a dozen developers chasing after PUBG and Fortnite with broadly similar titles; it's likely that there'll be ten or more games in this space launched by the end of 2018, and it would be absolutely stunning if a single one of them came close to the existing hits. Unevenly matched competitors in a desperate, zero-sum struggle for survival, potentially on territory that's slowly getting smaller underneath all of them? Now where have I heard that one before. In fact, as irony-laden as this reflection of the microcosm in the macrocosm may be, there's a far better comparison that companies thinking of jumping into Battle Royale should be mulling over carefully. Only a few short years ago, MOBAs went through an almost identical boom cycle. A scrappy, relatively cheaply put together game turned into an online sensation and was rapidly picked up by a big publisher, a single major firm was able to replicate some part of that success with a more polished version of much the same thing, and then dozens of companies stepped up with their own takes, convinced that whatever minor addition they could make to the formula (licensed characters! better graphics! different setting!) was going to earn them a slice of the pie. Not a single one of those games turned out to be a success on any notable level; even those backed by some of the world's biggest game companies struggled to make their mark. MOBAs reached saturation incredibly quickly - they remain an incredibly popular type of game, albeit eclipsed somewhat by Battle Royale titles lately, but rather than being a 'genre' in the sense of having a steady stream of games iterating around that core concept, this is really a space that has room for a couple of big hitters and very little else. "The cost of moving to a new multiplayer game for a player already ensconced in an existing one is extremely high"
I see precisely zero reason to expect any different from the Battle Royale space, not least since this has predominantly been the case for every major multiplayer game movement over the past 20 years or so. From the MMO boom precipitated by the success of World of Warcraft through the console FPS success of Call of Duty, to MOBAs and eventually Battle Royale titles - and no doubt a handful of genre 'waves' I've missed out in between - a common factor has been that no matter how commercially gigantic those trends have been, they've never really been able to support more than a handful of huge games, squeezing out any chance of an ecosystem for smaller or medium-sized titles. There are straightforward reasons why this happens, of course; utility calculations and costs that simply don't exist outside the multiplayer space. The cost of moving to a new game for a player already ensconced in an existing one is extremely high, since they lose their items and progress, and unless they can convince their network of friends to move with them (a pretty high effort cost in itself), they may lose much of that as well. While there's a population of players who effortlessly hop from game to game, they're actually not terribly commercially valuable; multiplayer games often make most of their bank from long-term players who get really deeply involved in a game's ecosystem, and the flighty audience that jumps onto whatever is new for a month or so simply doesn't move the needle in revenue terms. This effect - valuable audiences being buried deep in their commitment to existing titles and largely impossible to entice away - is only rendered more prominent by the use of free-to-play systems in multiplayer games, as the sunk cost in terms of microtransactions can be extremely high for many players. In spite of the clear precedent which suggests that the Battle Royale space is largely nailed down already - and that any further growth in the genre is likely to be devoured by its existing major players - many developers are trying to chase this white rabbit already. I also have little doubt that license holders are presently being inundated with pitches for 'PUBG, but with Marvel superheroes! ', or 'Fortnite, but with The Walking Dead brand!' - all of which fail to address the elephant in the room, namely that even bringing some of the biggest brands in entertainment to bear on the MOBA space achieved precisely nothing in terms of granting a competitive edge against the games that already dominated. It's not that this temptation isn't entirely understandable. Not only is this a new and enormously profitable market, a lot of development execs probably look at something like PUBG and think, 'My team could make something much more polished and accessible than this'. They're not wrong - PUBG's rough-and-ready roots still show through clearly in the game - but they're missing the point. Those rough-and-ready roots are actually part of the appeal to many players, and besides, this is a genre in which the crown is already firmly held. Adding spit and polish to the existing game systems isn't actually something existing players will care that deeply about - not compared to their attachment to the games they're already so deeply embedded in. 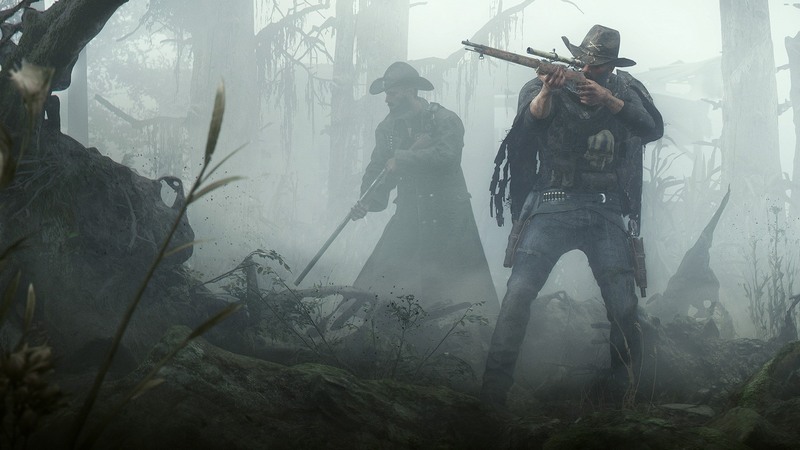 The alternative, of course, is harder - go out there and try to figure out what you can seriously change about Battle Royale to make it genuinely different and exciting for players; a change so fundamental that you actually end up making something that's not really Battle Royale at heart, but something genuinely new. Better again, figure out a new kind of multiplayer experience instead of aping the current trend at all. Of course this sounds tough, and incredibly risky, but the past few years of MOBA titles launching and flopping like salmon trying to leap over a hopelessly high waterfall should have taught us that the idea of avoiding risk by copying successful online games is a fallacy. In the current climate, nothing is riskier than taking a derivative run at a firmly established game in a multiplayer genre. Moba and Battle Royale share some DNA, in that they boil down an entire progression from zero to overpowered into 20-40 Minutes. The MMOs that came before stretched their progression out to hundreds of hours. Mobas certainly rely on players understanding such a progression while appreciating it being accelerated. Why develop a 300h grind only 15% of players will see the end of, when you can experience the same thing in under an hour? For that reason Battle Royale is more than 20 developers dumping 100 players on an island and waiting for which developer will go out of business. It does not even have to be PvP, it might as well be 100 player co-op wave defense until there is but one player left. Start, power up, diversify, power up some more, reset. Imo, fast paced rogue-likes hitting a mainstream is barely just beginning. Why waste time on slowly crawling your way from Level 1 to level 100 over the course of six months? What is that slow speed doing for anybody really? "Given how easily that concept can be draped onto the framework of a video game, arguably the most extraordinary thing about the emergence and soaring success of "Battle Royale" games over the past few years is that it took almost a decade and a half to happen." It's pretty obvious why this wasn't turned into a gaming concept around it's release, particularly here in the US. We are in the midst of a mass school shooting epidemic in this country and the one that started off the current trend was the Columbine school massacre back in 1999, a mere year before Battle Royale came out. There was no way they could have made games like this in this country during that time. I'm now remembering all the movies, tv shows and video games back then that were either delayed or outright canceled. So why are games like this ok to launch in the US today? As much as I hate to say this the general public has pretty much gotten use to (reluctantly) mass school shooting to where they are just another (tragic) part of everyday life. Plus, we are many years past the landmark Supreme Court ruling that placed video games as a protected art form/medium similar to books/movies/television. So politicians now place the blame on mental health instead of our industry. @Paul Jace: I'm a little confused, are you suggesting that school shootings are the fault of our industry? This is untrue for multiple reasons that have been well laid out and debated. Games like this are acceptable to put out because they have no relation to school shootings. Just as books and films from Divergence to The Hunger Games cover similar violent stories and content without concern. People who play games with violence aren't literally acting out violence in any way. The mental torment of engaging in the activity would be so socially destructive that people would opt to stop playing them. I really don't understand why anyone would think otherwise. @Ian Griffiths--Not at all. Look at the last line I wrote. I'm saying that "Politicians" no longer place the blame of mass murder school shootings on video games or our industry the way they did back in the late 90's thru the first 10 plus years of the current century. Now they place the blame mostly on mental health issues because they can't legally go after violent video games anymore, at least not here in the US. @Klaus Preisinger: "What is that slow speed doing for anybody really?" For some people that is the game, and for some of them the final result feels like a real achievement on dedication, practice and skill. Feels like something that they have really earned. For some progressing to the maximum means nothing when 99% of the other players achieved the same. As simple as that. Why waste time on slowly crawling your way from Level 1 to level 100 over the course of six months? What is that slow speed doing for anybody really? As Alfonso says, a long grind creates a sunk cost which really helps retention. MOBAs still have an abundance of characters and strategies for playing as or against them - a different form of sunk cost. But I don't see that in the BR genre - there's only the maps and the weapons to learn. That's arguably why Fortnite is eating PubG's lunch so quickly - nothing much to lose by switching game.